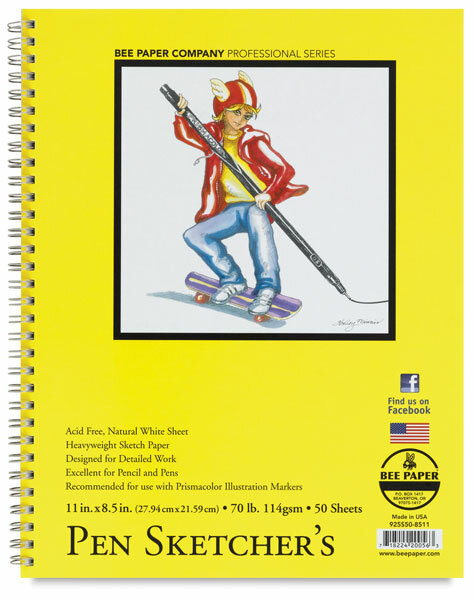 Designed specifically for those who sketch in pen, this pad is well suited for detail work. 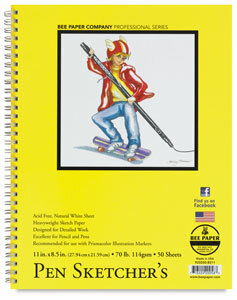 Heavyweight natural white sketch paper accepts pencil, ballpoint, pen and ink, and pens such as Sakura Micron. The paper is acid-free with a smooth surface.